It took Oscar Judd until he was 33 years old to make the big leagues. When he did, being that age enabled him to stay in the game throughout the Second World War. His talent, though in decline, enabled him to play three more years in the postwar period. Judd was Canadian, born on Valentine’s Day (February 14) in 1908 in Rebecca, near London, Ontario. His father, John W. Judd, was a farmer in Nissouri West Township, Ontario. His mother, Eve, was a nurse. As of the 1911 census in Canada, the couple had four children: Marion, Weldon, Oscar, and Laura. His given name was Thomas William Oscar Judd. As a major leaguer, he had his bags bear the monogram T.W.O.J. Judd received eight years of schooling at Nissouri School No. 1. He seems to have worked on the farm and played on numerous town teams before signing up for semipro ball with the team in Ingersoll, which captured the championship his second year with the team, and then with Guelph, which likewise was champion in his second year. He was as good with the bat as he was on the mound, explaining in a letter to the Los Angeles Times, “In 1933 I won the cup for batting with a .444 average, pitched and won nine games and lost three and had 131 strikeouts.” In the playoffs against Toronto, he struck out 10, 15, and 16 batters. He typically played in the outfield when not pitching. Judd’s work secured him a contract in December 1933 with the Pacific Coast League’s Los Angeles Angels. He played for three teams in 1934 – the Angels (for just 4 2/3 innings before he was released), then the Peoria Tractors (Class B Central League, before the league disbanded on June 10), and finally the Springfield (Missouri) Red Wings in the Class C Western League. Judd was 10-6 with a 3.87 ERA with Springfield, and was 1-1 with Peoria. Springfield was part of the St. Louis Cardinals system, and Judd’s 1934 season with the pennant-winning Red Wings earned him a promotion to Double-A with the Columbus Red Birds (American Association) for 1935. At Columbus Judd got into only five games and was 1-1. And he quit. Discouraged, he went back home and was placed on the ineligible list. 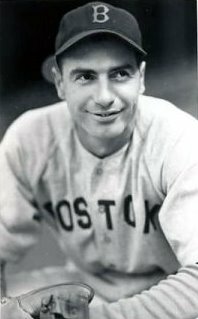 He was reinstated in early 1936 and reassigned to Eddie Dyer’s Columbus, Georgia, Red Birds, Class B in 1936, part of the reorganized South Atlantic League. Judd pitched a full season and was 17-8, despite a 4.32 earned-run average. The Red Birds won the championship. And Judd was among those promoted. In 1937 and 1938, the left-handed Judd pitched for the Rochester Red Wings in the International League (Double-A), with an 11-11 mark in ’37 and a 6-5 mark in ‘38. Both years his ERA hovered around five runs a game. Most of 1939 was with the Decatur Commodores (Three-I League, Class B), for whom Judd was 12-6 (2.89). He also pitched 16 2/3 innings for Sacramento in the Pacific Coast League. A note in The Sporting News for May 2, 1940 said of Judd, “His hitting is as valuable as his pitching.” He hit .346 for Sacramento in 1939, pinch-hitting in 13 games while pitching in only six. In 1940, with Sacramento for the full season, lefty Judd finally seemed to have made the grade: a 20-game winner with a 22-13 record (2.90). Boston Red Sox scouts Earl Sheely and Ernie Johnson recommended him and he was grabbed by the team in the October 1940 Rule V draft. One reason the Solons didn’t protect Judd was that it was thought he might be drafted into the Canadian armed forces. Canada had declared war on Germany in September 1939, more than two years before the United States did so. The Canadian conscription law provided for men between the ages of 21 and 30 to be drafted; Judd was single and was “expected to be drafted before the start of next season,” according to the October 10, 1940, Sporting News. But he was 32 by the start of the 1941 season, and this may have spared him. Wartime regulations, however, limited Judd’s pay as an unmarried man to $25 per week for use in the United States. The remainder of his salary was required to be deposited and spent in Canada. Judd’s major-league debut was just one-third of an inning pitched on April 16, 1941, as he secured an out to close the eighth inning in relief of Charlie Wagner. Judd appeared in seven games (a total of 12 1/3 innings) with an ERA of 8.76. Though he hadn’t done that well in spring training, he stuck with the Red Sox until the end of May, doing some pinch-hitting as well, singling in two runs in the top of the ninth inning on May 23 at Yankee Stadium to tie that game, 9-9. In seven plate appearances, Judd drew three bases on balls and collected a single and a double. On May 28 he was optioned to Louisville and spent the rest of the summer with the Colonels. There he was 13-5 with a 3.16 ERA in 148 innings of work. For the next seven years, he played in the big leagues. In the offseason Judd worked as a telephone lineman and a woodchopper in Canada. With the contract he received from Boston, whatever visa difficulties there might have been were relatively easily overcome. The 1942 Red Sox had begun to lose the services of some of their players to the armed forces, including pitcher Earl Johnson, and Judd became the sole left-handed pitcher on the team. The team picked up Ken Chase to give them another left-hander. Judd made his major-league start in Yankee Stadium on April 17 and the 34-year-old rookie pitched a complete game, allowing just five hits – but lost the game to Tiny Bonham, 1-0. He still thought he might get a call to return to Canada for wartime work. He was, he noted, a “pattern-maker by trade, and I expect to return to my workbench sometime this summer. I work on Fleet aircraft.” By season’s end in Boston he was 8-10 with a 3.89 ERA in 150 1/3 innings of pitching. He hit. 269 in 67 at-bats, one of only three pitchers in the major leagues with two home runs in 1942. There were no guarantees that Judd would be back in 1943. Though he now was the father of two children (he’d married Helen Humphreys back in 1933), he was “skilled in an essential trade” and could have been deemed important to the war effort and required to give up baseball. He received the all-clear in February, but he was late to spring training because he forgot to notify his draft board in time. He turned up, however, and was an important member of the Red Sox staff, making the American League All-Star squad in 1943 (the first Canadian to be so honored). He was 11-6 with a 2.90 ERA in 20 starts and eight complete games, though a sore arm left him unable to start after August 15. Once more, in 1944, Judd was unable to report until around the first of April. His arm still troubled him and he was unable to start until May 18, when he turned in a 12-1 complete game win against the Browns. He had his tonsils removed on July 8 and didn’t rejoin the team until early August. Later in the month Judd gave up on his arm for ’44 and returned to Canada, in effect retired, on August 22. The Red Sox acquired Clem Dreisewerd to fill the gap in their rotation. All told, Judd had been limited to 30 innings in 1944 and finished the season 1-1. As the 1945 season approached, Judd let the Red Sox knew that he wanted to give it another go. He had his annual difficulties getting out of Canada, and arrived late once again. The first game he got into came on May 26, a 9-2 loss. On May 30 he threw two-thirds of an inning. It was his last appearance for Boston. Put on waivers on the 31st, he was claimed by the Phillies. Judd appeared in 15 games for the woeful Phillies in June and four each in July and August, winning the last three games (and four of the last five) in which he appeared. One of the games was his 11-inning three-hit shutout of the New York Giants on July 27. Judd was 5-4 (3.81 ERA) with the last-place Phils (46-108, 52 games out of first place), in a season that saw manager Freddie Fitzsimmons leave in midyear. It had been a rough go for Fitzsimmons, and just a week before he departed he had suspended Judd for four days for “insubordination.” Yet Judd (whose statistics were not that impressive) was the one more or less carrying the team, and was characterized in August as “the Phillies’ one-man mound staff.” (No pitcher on the team won more than eight games.) Judd’s season concluded, however, when he pulled a groin muscle and was unable to continue. The death of Judd’s mother caused a delay in reporting to postwar spring training in 1946, but he started for the Phils on Opening Day and worked a full season with 24 starts in 30 games (11-12, 3.56 ERA). There was some trade talk in the offseason, but Judd was back with the Phillies in ’47. It wasn’t a good year, for either him or Philadelphia, which dropped from a fifth-place finish in 1946 to seventh place in 1947. Judd’s record was 4-15, with five of the losses to the St. Louis Cardinals (Judd was 0-9 at one point), with a 4.60 earned-run average in 32 games. His eight wild pitches led the league. Judd turned 40 years old before the 1948 campaign. He had to briefly leave spring training in Clearwater, Florida, after his father died. He appeared in four games (0-2, 6.91) pitching in his last major-league game on May 11. He was released outright, sold to the Toronto Maple Leafs on May 17. He won his first two games in International League play and threw a no-hitter against Syracuse (seven innings due to rain) on June 14. On August 6 some 400 fans from Ingersoll came to Oscar Judd Night in Toronto. (In 1948 he was one of only two Canadian natives on the team.) He was 14-8 in the IL by season’s end. Judd threw a four-hit shutout against Newark on Opening Day in 1949. It was his last year in Organized Baseball and he finished his career with a 12-10 season for Toronto. The Maple Leafs had made Judd an offer for 1950, but he wasn’t satisfied, and played baseball the way he’d begun it: playing semipro ball for Guelph in the Senior Intercounty Association, which featured 36 former players from Organized Baseball. He made his home in Ingersoll and worked farming, installing carpets, and as a salesman for Port Walker Furniture, grandfather to five. Judd died at his home in Ingersoll on December 27, 1995. In addition to the sources noted in this biography, the author also accessed Judd’s player file from the National Baseball Hall of Fame, the online SABR Encyclopedia, the Encyclopedia of Minor League Baseball, Retrosheet.org, and Baseball-Reference.com. Thanks to Rod Nelson and Tom Ruane. See Judd’s player questionnaire in the Baseball Hall of Fame and the April 6, 1977, Toronto Star.